Tower Maatmäg is a mighty Mammox of the Fomoraic Far Thule realm, a Wild Monstrous Beast fully capable of smashing any enemy's battle-line, now bearing six warriors upon a giant war tower on his back! Pre-ordering Tower Maatmäg enables you to get him - and the warriors on the tower - at a much cheaper price than his eventual RRP! 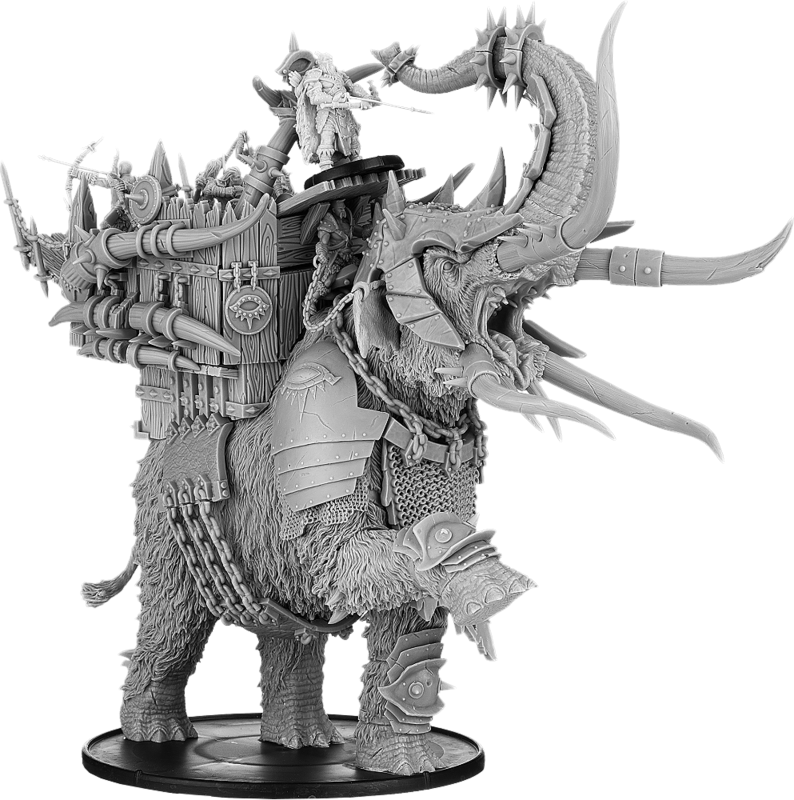 Tower Maatmäg will stand on a 120mm base and will be around 150mm tall to his eye and 230mm to the top of his trunk spikes. This item will usually be dispatched within two working days of arrival.